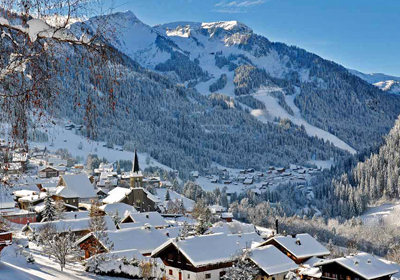 With plenty of French character, Chatel is the best resort in the Portes du Soleil ski area for unspoilt Alpine charm. 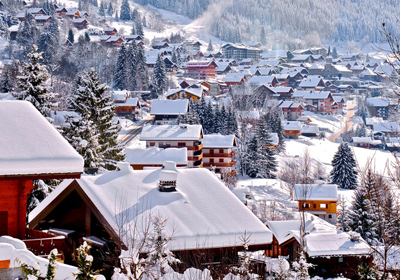 A traditional French village in the popular Portes du Soleil ski area, Chatel is one of the few resorts around that still has a life outside tourism; there are around 30 working farms in the area. 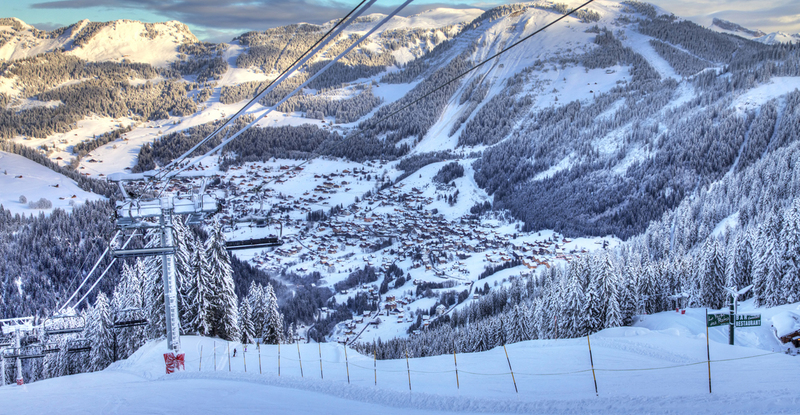 With plenty of French character, Chatel is the best resort in the Portes du Soleil ski area when it comes to unspoilt Alpine charm. Sitting close to the Swiss border, with two distinct areas to ski, Chatel was something of a hidden gem until recently. The last few seasons have seen the two sides of the mountain connected via high speed chairlifts, with a blue run down to the lifts from the Super-Chatel section of the mountain. 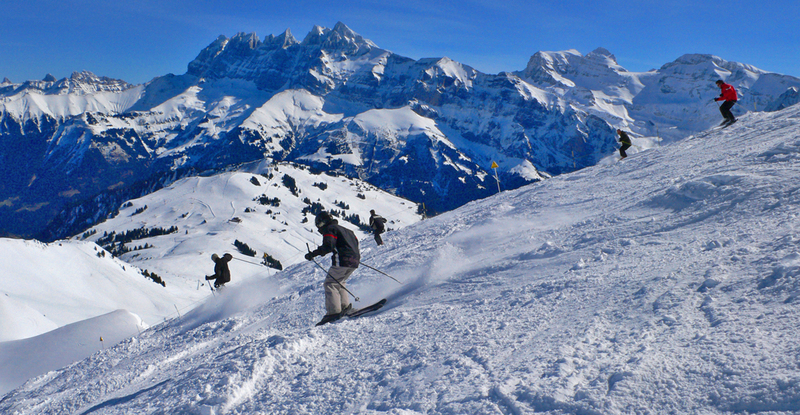 With the newly direct connection with the slopes of Avoriaz, Chatel is ideally situated for the skiing. With chalet style architecture stretching up the hillside, a pretty centre that oozes traditional French charm and a range of excellent local restaurants that offer Savoyarde cuisine in cosy surroundings, Chatel is the perfect base in the Portes du Soleil. The locals are famously friendly, the setting is exceptional and luxury chalets sit shoulder to shoulder with working farms. 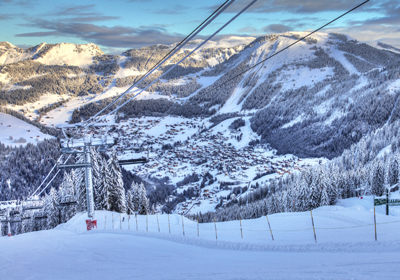 A part of the huge Portes du Soleil ski area, Chatel enjoys excellent access to superb skiing with a range of steep, challenging runs and gentle wooded slopes. The Super-Chatel area is great for beginner and intermediate skiers, while experts can enjoy the shared slopes between Chatel and Avoriaz or hire a guide to take them to the off-piste spots. With plenty of mountain restaurants, sunny slopes and a variety of different ski areas within easy reach, Chatel is one of the best connected resorts in the Portes du Soleil. The range of blue and red runs across the area is superb, with plenty of well-groomed pistes for those skiers and boarders looking for smooth, fast hills. There are a number of terrain parks in Avoriaz, which are easy to get to thanks to the new lift system, as well as another in the immediate Super Chatel ski area that offers competitions, BBQs and music to keep the kids entertained. The local ski schools are excellent, with English speaking instructors and great daycare facilities. 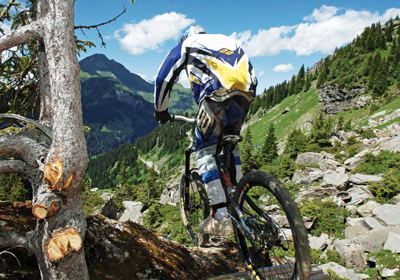 Whether you are looking for a relaxing mountain break, or an activity holiday filled with mountain biking, climbing and water sports, Chatel has plenty to offer during the summer. Like many resorts in the Portes du Soleil ski area, Chatel has a large number of walking trails that range from gentle strolls to tricky scrambles. The resort has a large open-air pool that serves as the perfect place to lie in the sun, enjoying spectacular scenery and grabbing drinks from the on-site bar. Most of the lakes near Chatel are also suitable for swimming, so visitors who are missing the beach can head over there and sunbathe beside the water. There are some stunning chateaux and medieval architecture in the area, which will appeal to anyone who enjoys a cultural trip. Adventure lovers can take to the mountain biking trails, or hit the water and go white water rafting or kayaking. If you’re looking for a little more of a rush, there is also paragliding off the top of the mountains, canyoning along the Alpine rivers, caving and potholing. Although there are a number of resale properties around, the best new opportunities in Chatel are the new build apartments. With an affordable range of sizes and prices,Chatel is the best place to buy a good sized property with access to a large ski area. This resort boasts one of the more reasonably priced ski in, ski out developments in the Alps in The View, where both the slopes and the centre of the village are within easy reach of the apartments. 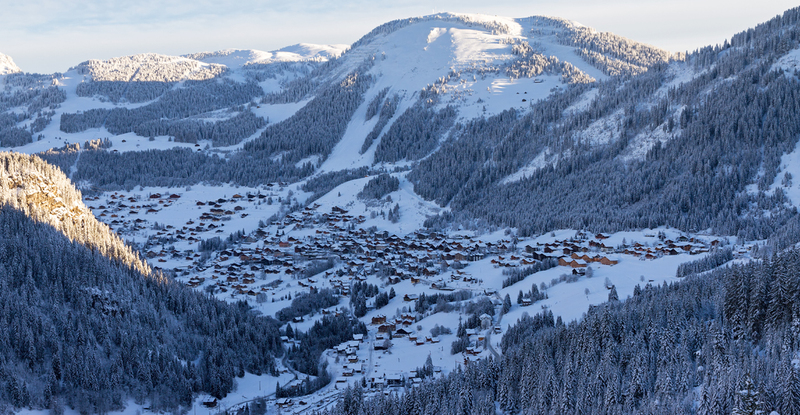 Chatel is home to a number of superb new 'lock and leave' apartment developments, the bulk of which have the flexibility of a freehold property. Those willing to pay for a full chalet will find there are a small number of luxury properties, but the locations are often further from the centre than well situated new build apartments like The View. With light filled Savoyard interiors and beautiful, west-facing views down the Vallee d'Abondance, Alpujarra is a set of just 17 brand new apartments. Chalets du Lac is an exclusive development of just 7 high quality apartments located next to Lake de Vonnes in Chatel. Maison Blanche et Verte is arguably the most impressive chalet in Chatel and offers luxury facilities with everything from an indoor pool to a wine cellar. The 4 Seasons is new development of 4 chalet style buildings with a total of 38 apartments which is under construction now. The View residences are the second phase of twenty high quality apartments to be built directly on the ski slope above Chatel. Ideally positioned in the centre of Chatel, Perle de Savoie is a brand new residence of studio to four bedroom apartments.